Ever since my family and I have changed our food to a plant-based, whole foods diet, I have come up with some pretty creative recipes. 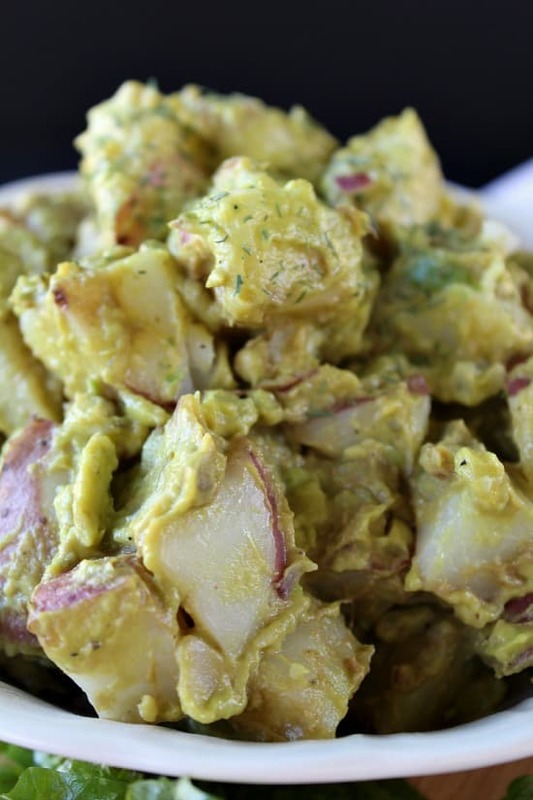 This avocado potato salad is one of those recipes that tastes so good and healthy. With each bite, you know you are eating a totally healthier potato salad that has good fat in it, verses having fat that is not good for you. 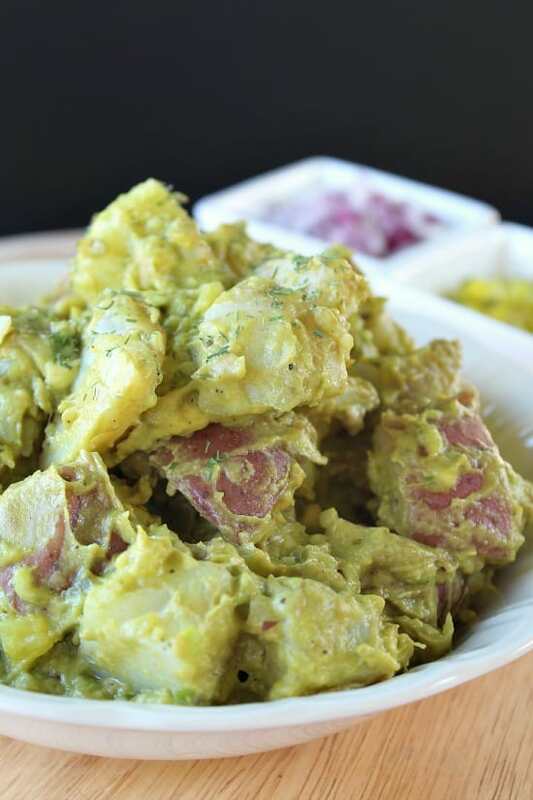 I’ve always made a great potato salad but this has a different twist to it. 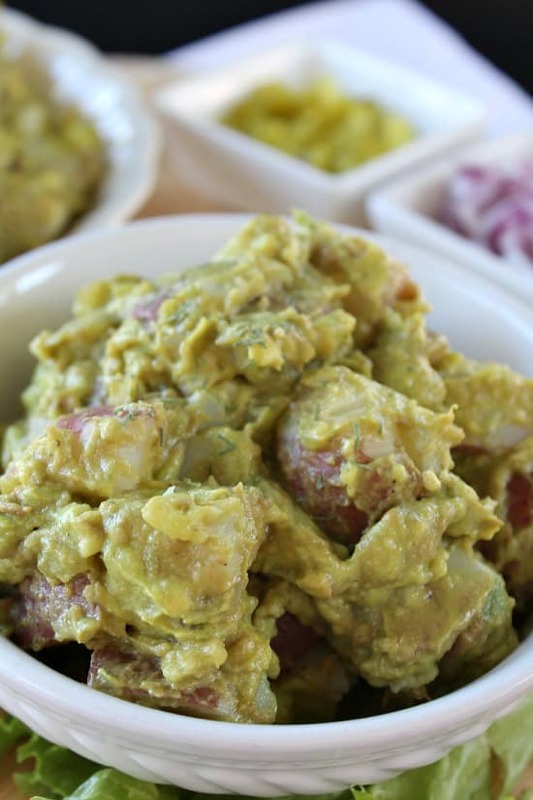 Making potato salad with avocados as the “mayo” is definitely different but trust me on this, it’s so good! 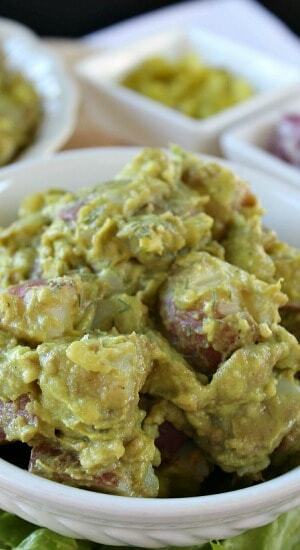 The thing about making this avocado potato salad, is that it needs to be eaten fairly soon after being made. Avocados tend to turn brown so fast, and having the lemon juice included in the recipe does help with that. I used a steamer basket for the potatoes and they turned out great! After they were done, and cooled a little bit, I put them into the fridge to speed up the chilling process. 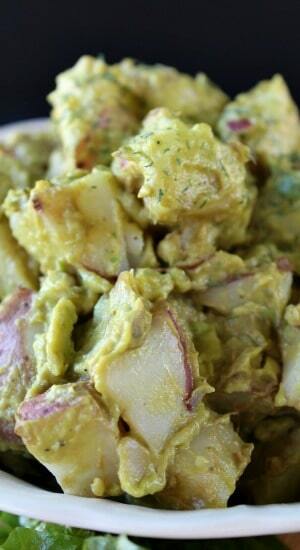 This avocado potato salad is a delicious, healthy side dish to any meal. Enjoy! Wash potatoes and cut into 1 inch chunks. Place potatoes in a steamer or boil until soft, but firm enough so they don't fall apart. Once potatoes have cooled, start preparing the rest of the ingredients. Chop up dill pickles, onions and place in a large mixing bowl. Remove seeds from avocado and spoon into bowl. Mash avocado, pickles and onions together. Add mustard, lemon juice, pepper and salt. Add diced potatoes, mix well until combined. 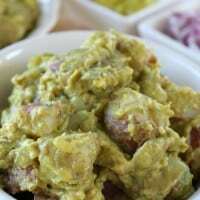 When making this recipe, it is best if eaten right away due to the avocado's natural tendency to turn brown. Best served cold.